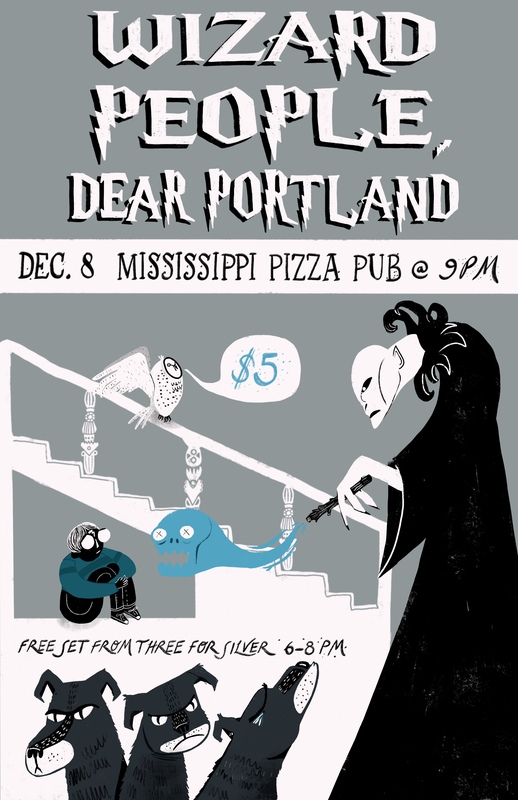 Three For Silver and Human Ottoman will be performing our live adaption of Wizard People, Dear Reader right here in Portland! For those who aren’t familiar, the original Wizard People is a re-imagining of the first Harry Potter film by Brad Neeley. He wrote an entire alternate script to be performed by ONE FEARLESS PERSON. It is hilarious, it is shocking, it is totally absurd.